Growing herbs indoors or outdoors depends on your preference, but there will be obvious differences you should know before trying either. 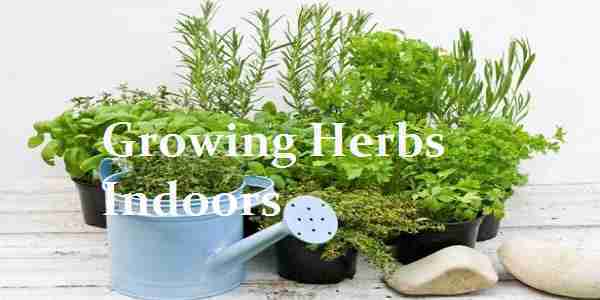 Many different herbs can be grown both indoors and outdoors, some can only be grown indoors and other outdoors etc. An obvious difference when growing herbs indoors is the extra moisture you will have to provide on a regular basis. These are the little points you will have to pay attention to when deciding upon your method to growing herbs indoors. Herbs are very easy to grow in the fact that they require little maintenance. Putting them in appropriate soil and given adequate space to grow, they will grow and develop with almost no help at all. They can survive conditions that even the toughest plants wouldn’t survive, but that doesn’t mean that you can plant and leave them. Herbs don’t really need any fertilizer, a decent amount of sunlight and you can enjoy successful blooms year after year. 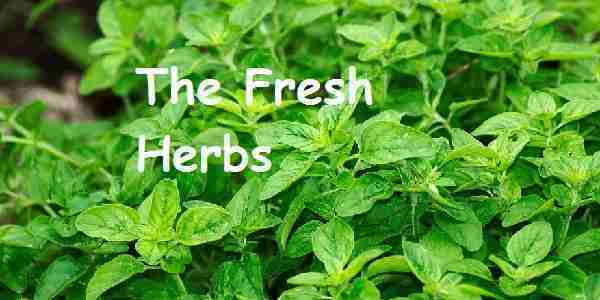 Which Herbs are the Best to Choose when Learning how to Grow Herbs Indoors? Chives for instance do very well when grown in pots as they can grow over a foot in length with large purple blossoms which absorb the heat. It is best to place chives together which will enable them to grow for longer and help survival through winter. When removing them for eating, snip near the base and avoid the top. A good example of a herb that can be grown inside is parsley. In fact, if parsley is grown in a pot, it can last for longer than the variable outside conditions. They don’t require much care and can be grown into full bushy plants providing a good return for time invested. The sprouts come from the centre and by cutting short the peripheral shoots, you can maintain the plants healthy status. 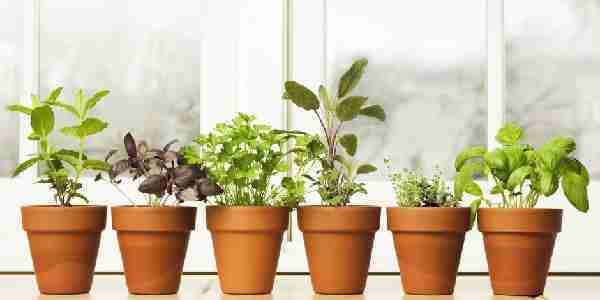 These herbs require a good bit of sunlight so keep on a windowsill for this. As stated previously, many herbs can grow both indoors and outdoors, to ensure they are not over watered, a combination of clay and granular foam in soil will work perfectly. 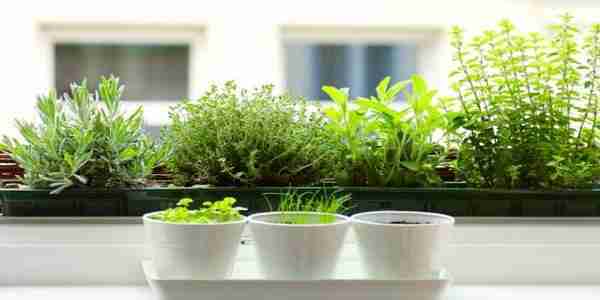 You are greatly fascinated with the concept of growing herbs inside your home, but you aren’t too sure how to go about the process. You are thinking about placing real plants indoors that will complement the design and to add life to the insides of your home, but while at it, you are struck by the thought of growing herbs inside instead. This way, the plants will not only serve as decors, but can also be used for various purposes such as medicinal, additional ingredients, to exude good aroma indoors and a lot more depending on the kinds of herbs that you will choose to grow. This project can be done even if you haven’t tried this before. With all the resources available about growing herbs inside, you must gather essential information that can help you succeed in the venture. 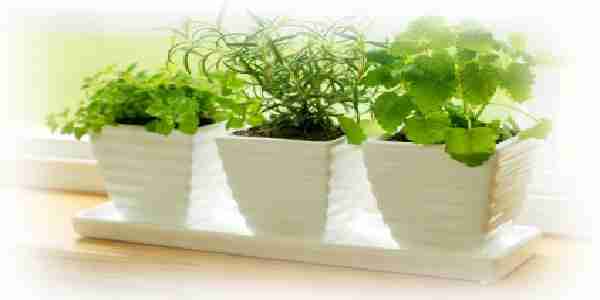 To help you proceed in growing herbs inside your home, here are some of the basic things that you must be aware of. First off all, where do you look for the herbs to utilize for this project? While you are searching online for clues on how to get this done, you can also start searching for sites that sell such items and other materials that you can use for the tasks involved. You have to make sure that you look for brief background information about these sellers before you deal with them. This way, you will be more assured that you won’t be scammed in any way. Aside from online sites, these items can also be purchased at the gardening section of any local discount stores or you can also ask some of the local greenhouses for the materials that you are in need of. To make sure that you are getting healthy seedlings, look at the seed packets to check if the seedlings haven’t expired yet. You have to buy extra seeds because in most cases, only a fraction of what you have originally planted will grow. Look for the kinds of herbs that will flourish indoors that include chamomile, basil, mint, rosemary, oregano, lavender and a lot more. You can be creative and place the herbs on any spare cans or other kinds of containers. If you aren’t sure about how to create proper drainage for these containers, you can always opt to buy new gardening pots. Place the right amount and proper kinds of soil on the containers to ensure the success of the process. Aside from potting soil, sand must be included on the mix and a little amount of lime. The end product is going to create a very habitable condition for your herbs. Place gravel on the bottom part of the container for better drainage before placing the soil in it. You need to spot the areas on your home where the plants can get moderate exposure to the sun. This can usually be attained on areas that are near the windows and skylight. If you cannot locate such spots that get good sun exposure, you could improvise by buying and installing fluorescent light. When the weather is warm, you can place the plants outside a little time each day to allow them to get sufficient sun exposure. Above all these factors, you must not forget watering the plants to make sure that you will succeed in growing herbs inside. You have to give just enough water to the plants to keep its soil moist. You must not exceed or get too excited with this task because over watering will be harmful for your garden as the excess moisture can deprive your plants of the amount of oxygen that they need to thrive.